← HIGHLY RECOMMENDED: Bricco Dei Tati 2008 Barbera, DOC Piemonte, Italy. 12.5% ABV, $9 and up. RECOMMENDED: Insomnia White Wine Blend, California. Around $10. As we approach Halloween, I’ll report on a couple of finds that would be fun to enjoy on that dark and spooky night. 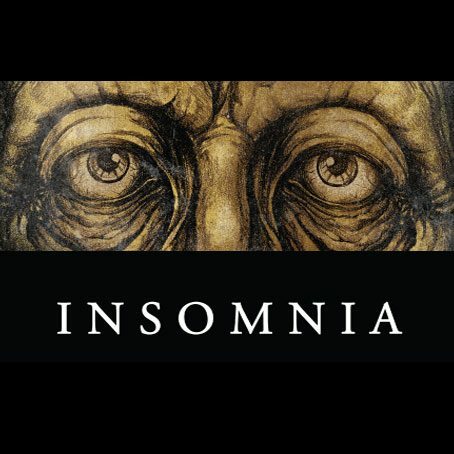 The Insomnia is a good place to start: it seems to be readily available (in our area, anyway) even though I hadn’t seen it before this year. Besides the white blend reviewed here, they also make a red. Pale. Intense floral aroma, matched in flavor but with slight bitterness mid-palate—that was a surprise. And soap as the wine opened up again where it was initially bitter—yet another surprise! My first guess was that Viognier was predominant, and that was correct. LABEL: Viognier. Sauvignon Blanc. Chardonnay. This wine captures the essence of each. This unusual blend’s alluring kaleidoscope of bright flavors dance on the palate … lingering well into the back palate. Enjoy with food. Enjoy alone. WEB NOTES: Don’t envy those to whom sleep comes easily. They have never experienced the utter stillness of the night, where the edges blur around reality. Colors are brighter; sounds, sharper. The deep night is the hardest time to be alone—but you will know your soul in solitude as you cross that invisible line into the alternate reality of darkness. Join us.